Origin PC is a company that was founded by some of the former Alienware executives that left the company after Alienware was bought out by Dell. The guys at Origin PC have just launched a new gaming laptop, the Origin Eon18. The Origin Eon18 is a highly customizable gaming laptop that features an 18.4 inch full HD widescreen display, graphics is provided by dual GeForece GTX 280M GPUS, and it comes with a range of Intel processors from the Core 2 Extreme Quad QX9300 to a choice of Intel Core i7 processors. Other specifications include up to three 250GB solid state drives (SSD) and 7.1 high definition audio. The specifications are pretty much standard for a gaming laptop, but you can customize the Eon18 with a range of different colors on the lid and even have your name or own logo on it. 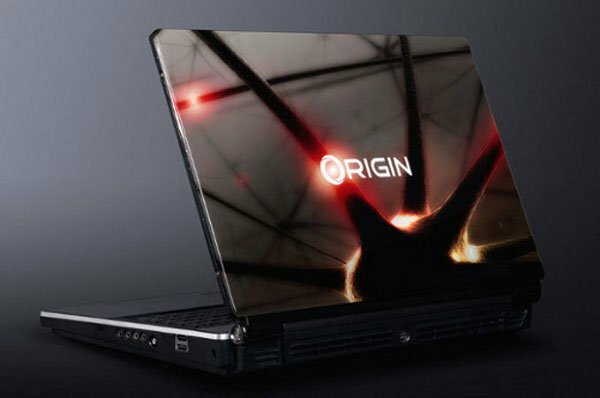 Whilst the Eon18 gaming laptop isn’t exactly ground breaking, it does give us a glimpse of what we may see from Origin PC in the future, and they could end up being a popular gaming laptop manufacturer.